Timberwolves travel to the Sunshine State to face Magic Thursday. Written by NBA Expert Point Spread Analyst Bobby Wallace. Charliessports.com produces it for Basketball Betting. NBA Daily ATS Picks are the best in the industry and will continue through the March Madness Finals in April of 2019. We’re always providing BETTOR Friendly cards. Our signature 500* premium ATS Predictions are unreal & I promise you won’t regret purchasing, cash in Daily. The (25-28) SU, (26-27) ATS Minnesota Timberwolves have dropped two straight and four of their last five. Minnesota is 11′ games behind first-place Denver in the Northwest division as we are a week away from 2019 All-Star break. They’re also 8-18 on the road this season as injuries are beginning to take the toll on the roster. Minnesota is 0-4 AGAINST THE POINT SPREAD their last four overall. The Timberwolves are 1-5 ATS their last six after a POINT SPREAD loss. OVER bettors have made profits 4 of the last five between the teams. Minnesota is 5-15 ATS their last twenty times the teams have played. The (22-32) SU, (27-26-1) ATS Orlando Magic lost 132-122 to Oklahoma City as 8’point road UNDERDOGS ATS their last time on the hardwood. Orlando seeks revenge from a 120-103 January 4th loss in Minneapolis. Orlando is eleventh in the Eastern Conference with a three-game road trip looming before the annual break. Head Coach Steve Clifford is looking for his team to finish the first half of the season strong. Orlando is 1-4 AGAINST THE SPREAD their last five vs. Teams with an SU losing record. The Magic are 5-2 ATS their last seven on a day’s rest. Orlando is 6-2 ATS their last eight between the teams at home. UNDER bettors have cashed in the Magic last three at home. Thursday’s game is 7:05 PM EST at Amway Center in Orlando, Florida. The local television network will be broadcasting. The Betting Line has Orlando as 2 point home FAVORITES ATS. The TOTAL is 215′ points for Thursday’s contest. Interim Timberwolves head coach Ryan Saunders will be without Jeff Teague, Derrick Rose, Tyus Jones, and Robert Covington tonight. Although Minnesota averages (111.3) point per game, 17th in league-wide but they’ve been held to 106 points in four of the last five games. Center Karl-Anthony Towns (22.8) ppg leads the team in scoring while Andrew Wiggins (17.7) ppg is their most athletic player who many say along with Towns is untradeable. However, Wiggins has struggled the past three games scoring less than twelve points. Making matter worse for the Minnesota offense is the Magic defense performs at an elite level at home. Dario Saric scored 22 points in the last game against which was his total point output the previous five. The top NBA Handicapper believes it’ll take a maximum effort for Minnesota to get a road win vs. A team with a great defense. Minnesota is 12-14 AGAINST THE POINT SPREAD on the road this season while the UNDER has cashed in 14 of twenty-six. The Timberwolves organization may have to make some moves before the deadline if they want to make a move for the playoffs. 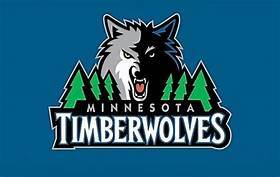 Bovada.Lv list the Minnesota Timberwolves win total at OVER 44′ for 2018-19. The Orlando Magic have had their share of problems this season, but they are in the East which is less competitive. Head Coach Steve Clifford would like to have his team to finish with a purpose before the break. Orlando ranks 27th league-wide scoring (104.6) points per game while the eighth-ranked defense allows opponents (107.9) ppg. Nikola Vucevic (20.6) points per contest are the leading scorer on a unit that shoots (44.7%) from the field. He’s recorded double-doubles in 6 of his last eight games. Rookie Mo Bamba is out with a stress fracture in his leg. Reserve guard Terrance Ross who’s scored double figures in 13 of his last fifteen games could be on the trading block with plenty of contenders bidding for his services. Orlando has lost five of their previous seven SU and with a three-game road trip on the horizon, nothing a win tonight could give them confidence moving forward. The UNDER has cashed in 15 of Orlando last twenty-eight at home. Sports Handicapper Charlie Red McDougall and his staff have a 2-team PARLAY on tap tonight for 35.00. Bovada. Lv, list the Orlando Magic win total at 31′ games for 2018-19. Free Pick. Side/Total. Also Play Online Poker Plus Other Casino Games and enter some of the best Tournaments on the World Wide Web.